Bitcoin Investor Review, Fake Bitcoin Investor SCAM Or Legit? 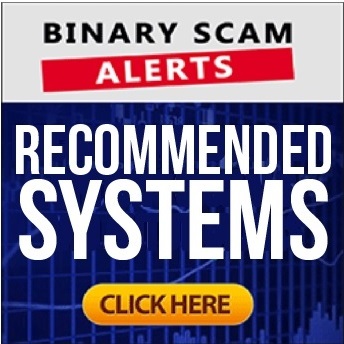 Binary Scam Alerts » Bitcoin Scam Reviews » Bitcoin Investor Review, Fake Bitcoin Investor SCAM Or Legit? Welcome to our exclusive Bitcoin Investor Review and investigation. The Bitcoin Investor SCAM software is just one of the latest automated crypto apps launched by large affiliate networks operating in tandem with unlicensed offshore brokers. Lately the trading scene is being bombarded by crypto bots (meaning robots that trade cryptocurrencies on auto-pilot) and apparently all of the sudden numerous shady characters are spreading lies all over the internet claiming to have the so-called “secret” to successful Bitcoin Investments (other virtual currencies are also used). The Bitcoin Investor SCAM app, and fake signals system boasts extremely accurate results. However, as our detailed review and investigative report will prove, “Bitcoin Investor” is merely a cloned replica of the Bitcoin Trader Scam. In fact, there are two versions of this scam, and for some reason the greedy con artists behind this recent piece of trash thought it was a smart idea to copy an existing scam and peddle it online via fake reviews, annoying pop up ads, and SPAM email marketing. Our job here is to roll out a well-thought out, informative, and consist review for you so that you receive the best possible information so that you can make a factual-based decision. The truth can be quite evasive at times, however our staff of diligent researchers was able to produce conclusive proof of SCAM and insidious foul play in regards to the Bitcoin Investor fake get-rich-quick scheme. Don’t believe us? Want to try your luck? Before you take a leap and dive into the abyss we highly recommend you read our detailed Bitcoin Investor review to see exactly how we exposed the crooks behind it and shed light on their methods of operation. Official Website, Login Page, and Members Area: This is a spoofed site and it keeps changing. Below on the left side you will see the primary sales page and registration area for the Bitcoin Investor software. Right next to it you will see the original version, and following that you will find a screenshot of the Bitcoin Trader scam. We have branded this illustration with the term “Serial Scammers” because it sheds light on the thought process and why con artists follow certain patterns of deception and trickery. Moving along, here we have the testimonial section of the Bitcoin Investor SCAM. Here you will see again, how the Bitcoin Trader was duplicated and used for the Bitcoin Formula, and Bitcoin Investor scam as well as other copied systems such as 365 Bitcoin Trader. Finally, here is the broker when we signed up for. We were partnered with GFC Investment which is an unlicensed Forex and CFD Broker with an address in Tallinn Estonia. This is the same post-registration pop-up we received when signing up for the Bitcoin Trader and Bitcoin Formula SCAMS. The Bitcoin Investor SCAM is a par excellence example of how conniving con artists emulate successful get-rich-quick schemes. In this review we will do away with the usual description of what is being offered or how “laser accurate” technology will generate a 99.4% level of accuracy and quadruple your money. No, the useless nonsense about how Bitcoin is making people rich and why you can become the next millionaire is not what is at the core of our review. Instead, we will address the real reason why affiliate marketers copy scams and how this sub-niche in the crypto industry is quickly becoming obsolete and inflated. Why Is the Bitcoin Investor SCAM Copied? In our previous review about how Forex and Cryptocurrency scams work, we have plainly stated that everything starts with an idea. When crafty marketers understand how to attract visitors to their fake software by baiting them via Email, Fake Ads on Google and Facebook, and aggressive popups, they start to measure the success of their campaigns. If they have invested $100 in advertising and were able to return $500 then they will do everything to replicate this success and keep their marketing campaigns up and running. Such is the case with Bitcoin Investor and why marketers are so persistent about copying the Bitcoin Trader Scam. They do it because it WORKS for them, and they are really trying very hard to create multiple channels for a successful customer acquisition strategy in order to attract as many victims as possible. Is Bitcoin Investor SCAM Provided Free of Charge? It is not, access to this fake app and useless trading bot will cost you a minimum of $250, and that money will be charged to your credit card by offshore brokers such as GFC Investment. Let’s not beat around the bush. There are various review sites which have managed to publish favorable articles in regards to the Bitcoin Investor scam. We know for a fact that the owners of these sites are accepting bribes in the form of affiliate commissions from various offshore brokers, and that is simply unacceptable. The advertised ITM ratio stands at a 99.4% level of accuracy. Assuming we completely disregard the complete lack of transparency and back testing, these kinds of results translate to no-risk or guaranteed wins and we all know that this is not possible. Even if Bitcoin is not quite the “usual” currency and known to have irregular peaks, we are still talking about a wild exaggeration and extremely hyped up claims. The Bitcoin Investor scam software was originally designed with the deliberate intent of defrauding unsuspecting victims searching for a legitimate way to generate passive income. This means the software is rigged and set to lose, so in essence these con artists are stealing your money and doing it in a very clever way. Who Is Really Making the Money Here? The people who are generating profits are the the online promoters, affiliate networks, and media agencies. They are making the big bucks, and in essence by funding a real-money trading account with a broker you are paying them indirectly. The broker makes his money by selling you strategies or other apps which cause you to reinvest. If you have been scammed, deceived, manipulated, or illegally solicited to join fraudulent automated trading apps then you are not alone. Our staff filters out all the useless software and makes sure constantly back test our recommended systems to see that they perform consistently as they are the best in the market.